STIPA Consultancy&Ecotourism with Superior Institute of Environment present the fourth edition of the course "Ecotourism: Design and Marketing Products". STIPA's team and Gonzalo de la Fuente del Val in collaboration with the Superior Institute of Environment (ISM) have designed this course which the aim to develop ecotourism products that follows innovation, competitiveness and sustainability objectives. We want to open new perspectives of ecotourism business in Spain and Latin American countries, such as ecotourism in protected areas or not, or ecotourism linked to private areas through land stewardship agreements. Always under the premise of creating ethic products and work collaboratively to improve the brand of a destination. 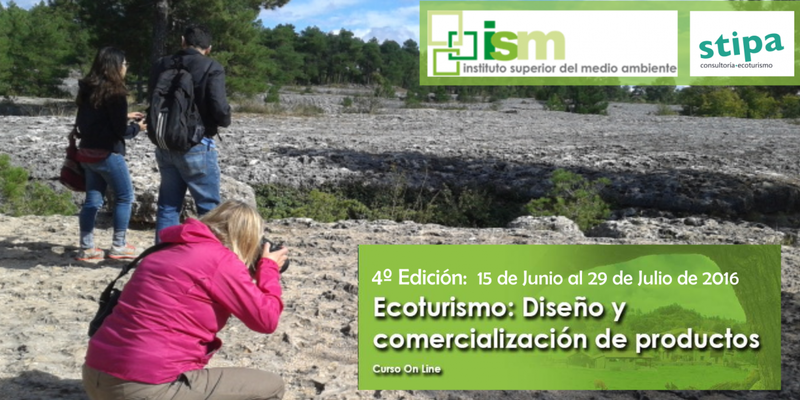 The course of "Ecotourism: Design and Marketing of Products" beginning on June 15, is taught entirely ON LINE through the ISM Campus. 80 hours; Spanish language. Are motorhomes an eco, responsible way to travel?